Military storage for your move or deployment is streamlined by our expert move coordinators at Moving Ahead Services. On-site, secure and climate controlled storage solutions are available for short term and long term relocations. Simply mention your storage needs during plans with your transportation counselor – Or let us know when you call to plan your personal procured move. For our military customers that need short term storage, planning is easy and streamlined right into your moving day arrangements. Depending on your move plans, either you or our experts separate your household items and belongings that will be going into storage from the items that will be moving with you immediately. We keep track during your move, and storage items return to our office with us at the end of the trip. PCS and temporary assignment military relocation may require storage while just in transit with a short period of time in between one home to the next. Our on-site solution is ideal, as it is attached to our moving company offices and under our watchful eye at all times. Storage areas are secured, organized and easily accessible. For temporary assignments, deployments and other moves that require longer term military storage solutions, we provide open communication, safe storage solutions and flexible scheduling to get your household goods and items to you once you are ready. Because our storage is on our property, we can accommodate requests to retrieve specific boxes and always have access to monitor your belongings. When it comes time for us to unload your storage area, we simply load our moving truck and deliver the items to you at your new home. Moving and storage often go hand in hand during a military relocation. We look forward to coordinating your move and ensuring you have an easy, seamless transition! Residential, commercial, corporate and military relocation experts. 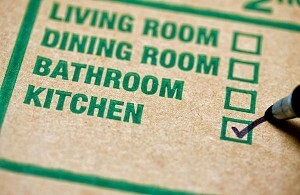 Hire moving services, order supplies, arrange storage and much more!